The Dutch justice ministry says about 190 people have traveled from the Netherlands to fight in overseas “jihadi conflicts,” some 35 have returned home and 30 have been killed, wrote AP. The assessment says that not only retuning fighters pose a threat but also Islamic extremists who remain in the West. 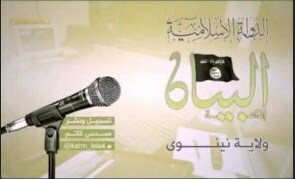 The Islamic State group has launched English-language radio news bulletins on its al-Bayan radio network, according to OrlandoSentinel. The militant group’s English bulletin, launched Tuesday and promoted via Twitter, accompanies Arabic and Russian bulletins already airing on the network. The first bulletin, which provided an overview of their activities in Iraq, Syria and Libya, discussed a range of topics including the alleged death of an IS commander in the Yarmouk refugee camp in the Syrian capital, Damascus, a suicide bombing in the Iraqi city of Kirkuk and mortar attacks on militias in Sirte, Libya. The Islamic State militants hold territory in a third of Iraq and Syria and are becoming increasingly active in Libya. The group also publishes a monthly online English-language magazine, Dabiq, with religious lessons, plus news about its activities. Military action is inevitable in the fight against terrorism and more should be done to tackle religious persecution, Italy’s foreign minister said according to JP.com. “Responding to terrorism inevitably implies military consequences. This may shock some people but these groups must also be dealt with on a military footing. I won’t use the word ‘combat’ to avoid being painted as a crusader,” Gentiloni said. 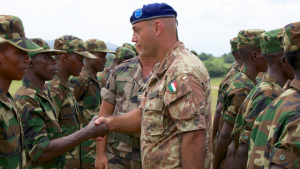 He noted that Italian forces are committed to training local armed forces in Somalia that fight against the al-Qaida-linked al Shabaab militants who singled out Christians in a shooting on Thursday at a university in Kenya that killed nearly 150 people. 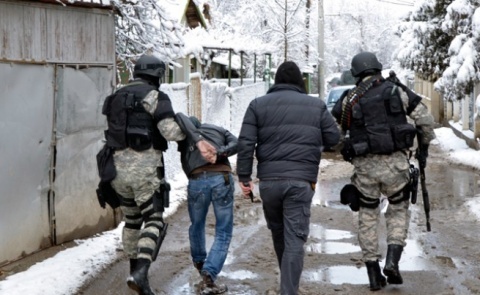 Seven people were arrested in the residential districts of Roma people in southern district centres Plovdiv and Pazardzhik over radical Islam-related activity on Facebook, Radio FOCUS – Pazardzhik reported. The Prosecutor’s Office monitored the arrests. One of the most notorious cases is still in progress: Last month, three schoolgirls — Amira Abase, Shamima Begum and Kadiza Sultana — allegedly snuck out of London to fly to Turkey and cross into Syria. Police said a friend who had previously joined ISIS convinced the trio to make the journey. The Grand Mufti of Kosovo, Sheikh Naim Ternava, today praised the continued support of the UAE for his country in various fields. Sheikh Naim Ternava made the comments following a meeting with Mohammed Haji Al Khouri, Director-General of the Khalifa bin Zayed Foundation, which was held at the organisation’s headquarters in Abu Dhabi, saying that Kosovo will not forget the UAE’s steadfast and supportive position for over 15 years and for providing a multi-relief assistance to the people of Kosovo, which, he said, contributed to the rebuilding of a number of infrastructures such as hospitals, schools, and other facilities in the war-stricken country. Mohammed Al Khouri stressed that the organisation’s strategy is in response to the directives of President His Highness Sheikh Khalifa bin Zayed Al Nahyan, and His Highness Sheikh Mohamed bin Zayed Al Nahyan, Crown Prince of Abu Dhabi and Deputy Supreme Commander of the UAE Armed Forces, to provide humanitarian aid, in all its forms, to countries and people facing disaster, and pointed out that the organisation’s humanitarian aid has reached more than 60 nations and reached hundreds of thousands of families affected by disasters and wars. Two young teenagers were arrested early Tuesday in northeastern Spain, the same morning they planned to travel to Syria to fight with Islamist militants there, the Spanish interior ministry said. Police arrested the two, both aged under 16, and another two suspects in a raid in the Mediterranean city of Badalona, about 11 kilometers from Barcelona. “A brother of the minors had already traveled to Syria, recruited by jihadi groups, dying in 2014, and is believed to have formed part of the terrorist ranks supporting Daesh (ISIS),” said the ministry in a statement. The ministry said the teenagers had dropped out of school in Badalona and begun studying at an Islamic center in Morocco. They were due to travel Tuesday morning through Morocco to Turkey and from there onto Syria with the full knowledge of those close to them including their mother, said the ministry. Since the attacks on satirical newspaper Charlie Hebdo in Paris earlier this year, Spain has stepped up efforts to prevent recruiters from militant groups targeting young Muslims. A group of youth in the Balkan region in a letter to Iran’s Supreme Leader Ayatollah Seyed Ali Khamenei responded to the message he sent to the European and American youth in January. ‘In a world where neoliberalism has widened the rift between the rich and the poor and the media moguls at the order of totalitarian politicians are trying to capture the brains and hearts of the youth, the best way to plant self-belief and proper understanding of the time is through divine religions, specially Islam which is under the pressure of Islamophobia and the plots hatched by extremist and Takfiri groups,’ parts of the letter by the Balkan youth read, FNA reported. It goes without saying that diplomacy of spiritual religious leaders of different societies, especially through releasing messages and letters with the aim of informing nations and awakening the conscience of the politicians can play an important role in this regard, it said. 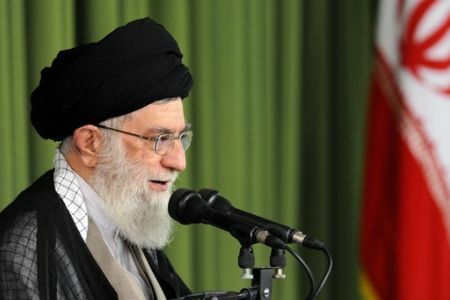 Iran’s Supreme Leader sent a highly important message to the European youth in January to stress the Islam that the West is trying to portray is a forged concept and not the reality, demanding the younger generation in the West to do research to get firsthand information before accepting their states’ propaganda. Islamist Black flags are waving in Bosnia, just a step away from Italy and far nearer than neighboring Libya. A “potential candidate country” for the European Union, Bosnia shares a long, unguarded border with Croatia, an EU member since 2013. Estimates place some 3,000 Salafist extremists in the heart of the Balkans, near the border between Bosnia and Croatia, not counting the many who have already enlisted in the “holy war” in Syria and Iraq. The Balkans are an area of particular concern to the Italian government, because of their geographical proximity and historic ties to radical Islam. Last week, Italian special forces executed the final stage of a counterterrorist operation known as “Balkan Connection,” breaking up an ISIS terrorist cell in northern Italy involving connections to Albania. Two Albanians—38-year-old Alban Elezi and his nephew Elvis—have been charged with recruiting militants for international terrorism along the Balkan route, while the third, Elmadhi Halili, a twenty-year-old Italian citizen of Moroccan origin, is being held for spreading propaganda for the purpose of abetting international terrorism, after publishing a 64-page pro-Caliphate document on the internet. “Bosnia is no exception to the threat of foreign jihadi militants,” said Roger Corrias, the Italian Ambassador in Sarajevo. Official state estimates speak of 160 Bosnians traveling to the Middle East to join the Islamic State, with US estimates decidedly higher at 340. In the former Serbian village of Osve, lost in the hills of central Bosnia, a black flag flies emblazoned with the shahada, or Muslim profession of faith. The flag is very similar in appearance to those of Al Nusra Front, the offshoot of Al Qaeda operating in Syria and Lebanon. There a man laments the death of his son, a suicide bomber in Iraq. 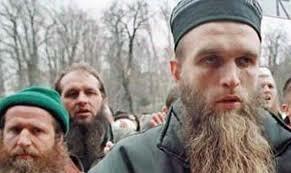 Europe has never taken root in Gornja Maoca, the most prominent Salafi enclave in eastern Bosnia. 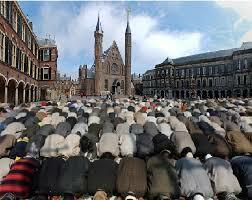 In early February, the symbol of the Caliphate began to be seen here and there, and then disappeared. Now black flags with the scimitar and shahada can be seen waving atop houses and mosques. From these simple houses among the remote forests have come the likes of Nusret Imamovic, one of the foreign leaders among the Al Qaeda ranks listed as a “global terrorist” by the United States. Gornja Maoca was also home to Mevlid Jaarevic, who was sentenced to 18 years in prison after shooting up the US embassy in Sarajevo with a Kalashnikov in 2011. “I am convinced that they will conquer Rome,” said Esad Hecimovic, a journalist from Sarajevo and expert in Islamic extremism. “You don’t understand that the real danger is closer than Libya. The threat does not just affect Bosnia, but also Italy and Europe,” he said. 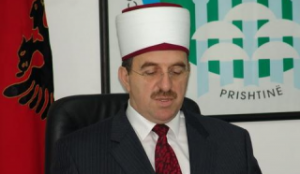 The area of ​​Velika Kladusa in Western Bosnia was the stronghold of the Islamist preacher Bilal Bosnic, who ended up behind bars last September for incitement and recruitment for jihad. A few miles from his home, in a remote area of ​​Bosanska Bojna, Bosnic bought an 8-acre plot of land to build a majid, or Salafi prayer center. The prosecutor in Sarajevo found that in the course of two years, 200 thousand dollars had arrived from a mysterious benefactor in Qatar. Militants fighting alongside the Islamic State appear to have increased their efforts to recruit Russian speakers by publishing a series of guides in Cyrillic on how to travel to Syria to join the terrorist group. Two parts of a Russian-language guide on “How to Make Hijrah [migration] to the Islamic State” appeared Thursday on a number of pages of Russia’s leading social network, VKontakte. The pages have many thousands of followers each. While part one of the guide describes how to travel unhindered from Russia to Turkey, which is a relay point for crossing the border into Syria, part two provides instructions on how to shop for military gear in Turkey before traveling onwards. Both parts end with a simple message: Bring as much cash as you can. “Allah said in the Quran: ‘Fight with your property and with your souls,” the guide says, adding that the Islamic State will provide any necessary gear to militants as well as feed them upon their arrival to the unrecognized caliphate. “It’s better to take more money with you, sell unneeded property. Insha’Allah [God willing], this will be your final voyage,” the guide says. The publications came about a week after Turkish news site Daily Sabah reported that several Russians, a Chechen and a Tajik had been detained and deported earlier this month when trying to cross into Syria. About 1,500 natives of Russia’s predominantly Muslim region of the North Caucasus are currently fighting alongside the Islamic State and other militant groups in Syria and Iraq, the Kremlin’s envoy for the North Caucasus, Sergei Melikov, was cited as saying Thursday by Russian media. “If you are not on a wanted list, not under house arrest, and not under a written pledge to stay at your residence [pending trial], nobody can stop you from leaving this damn country,” it reads. The guide goes on to suggest several ways for wannabe militants to travel to Turkey: Via Europe “if there is money,” via a flight from a southern Russian town, or via neighboring Azerbaijan, a former Soviet republic in the North Caucasus. If all else fails, militants can also leave Russia illegally, the guide says, without offering any specific instructions on how to do this. In order to facilitate the process of crossing into Turkey, the reader is advised to “enlist the help of an [adult] so that if they receive a telephone call from a relentless [border guard] they can … confirm that they have given their blessed consent for your visit to sunny Turkey.” Such advice seems unlikely to be aimed at mature travelers and would therefore indicate that the guide has been written for young militants, possibly teenagers. Sporting goods chain Decathlon is named in the guide as a good place to look for items such as a “70-liter backpack,” which would allow the wannabe militants to pack everything into one bag and keep their hands free at all times. It also describes what kinds of footwear and clothes would be useful, including a sleeping bag, a flashlight and thermal underwear. Al-Dagestani, the militant who authored the guide, has already had one online post blocked as “extremist” by the Russian authorities, according to lists of banned Web pages published by the official government daily Rossiiskaya Gazeta. 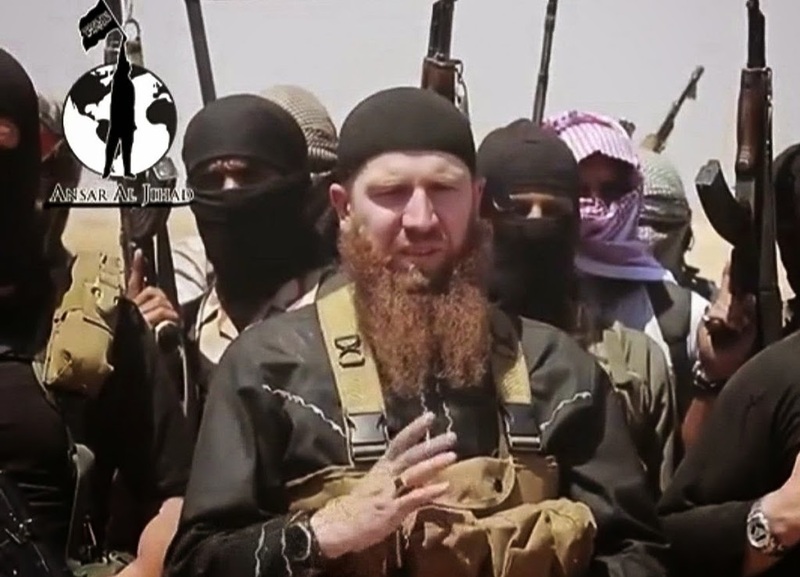 The militant appears to take his apparent nom de guerre from Dagestan, a Russian region in the North Caucasus that borders Chechnya and that has seen a rise of Islamic extremism in recent years..